Evergreen shrub with rich burgundy new foliage that matures to purple-green. Fringed hot pink flowers appear in abundance in spring and sporadically during summer. Can mature at 6 to 8 feet tall and wide if not sheared. 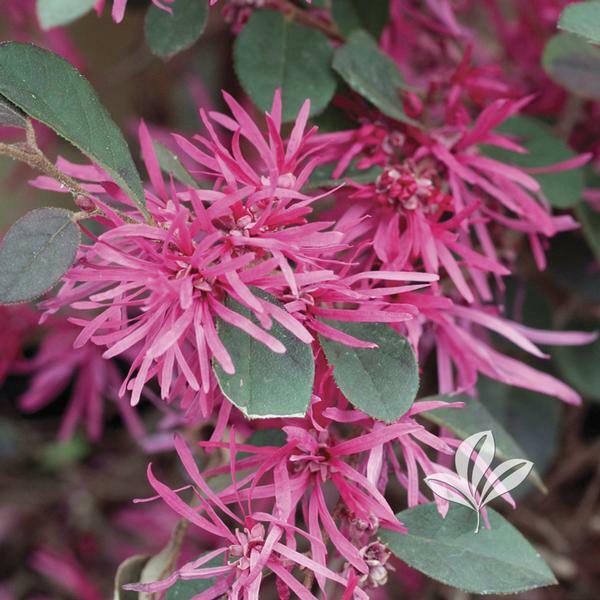 Best spring foliage color of the Loropetalum group.